The Sims 4 expansion Cats & Dogs comes out tomorrow. When you check out the new town, Brindleton Bay, you may notice a family that seems a little familiar. People love this account, and it has over four million followers. Dogs are cute! Then, along came Brant, who took issue with their methodology for rating dogs. “They’re good dogs Brent” became a meme—Dog Rates even sells merch with the phrase on it. It’s such a commonly-repeated phrase that sometimes we even say it to each other at the Kotaku office when a coworker is trying to harsh our buzz. So when I loaded up the Sims 4 expansion Cats & Dogs for the first time, I noticed something familiar. 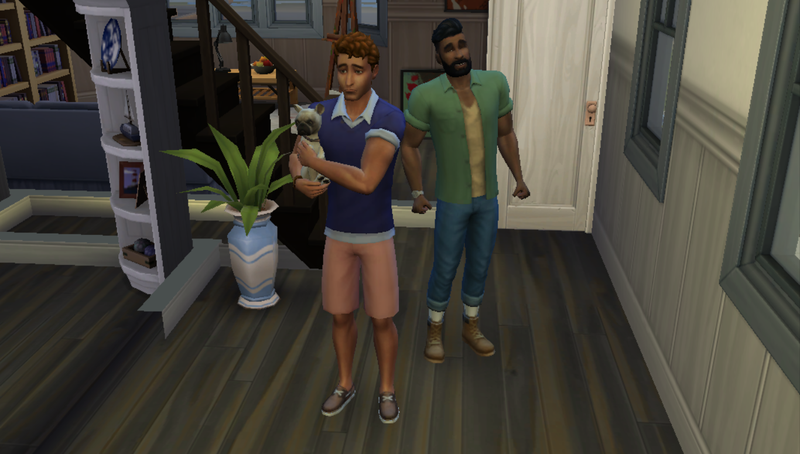 Meet Brent and Brant, who live in the new town of Brindleton Bay. They’ve got a heckin’ good dog, a pug named Rosie. In terms of video game references to internet memes, this one is better than average. I give it an 11/10.